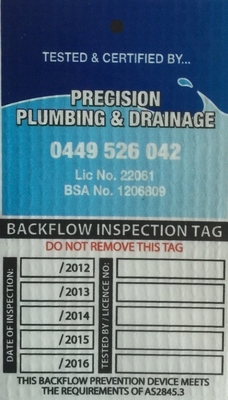 We print non adhesive industrial strength white vinyl pressure and certification test tags. They are fully digitally printed and can be done on any background colour and are 96mmx55mm. 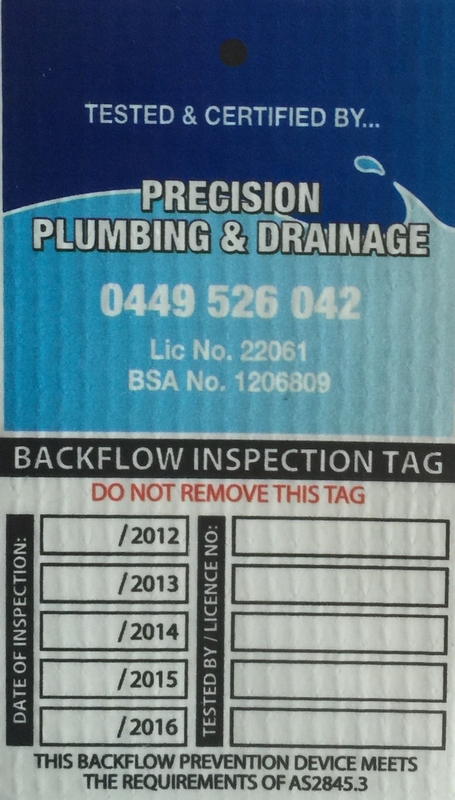 These tags are used by plumbers to notify the customer that their backflow plumbing tests meet the requirements of AS/NZ 2845:3 and records the due date of the next test.